You'll love these slip-on Sanuks, no strings attached! The most comfortable sandal ever. They are so comfortable and look awesome. Have had mine for 3 years and wear them everywhere! I have had these Sanuks for three years and they are my favorite sandal, nothing like a comfy cloth on some foam to chill in. 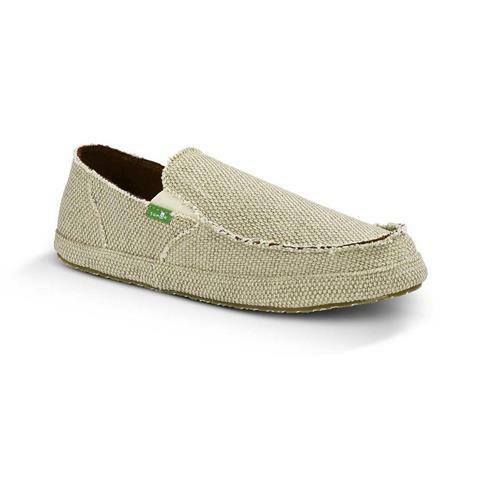 They have a slightly distressed look making them perfect for any casual occasion and a favorite for a beach adventure or driving back from the mountain.